Time for work. Please hold all my calls, and open up my facebook account, please. Oh a CEO, does that mean you haf someone to make your puppicinos for you? Who is your assistant? 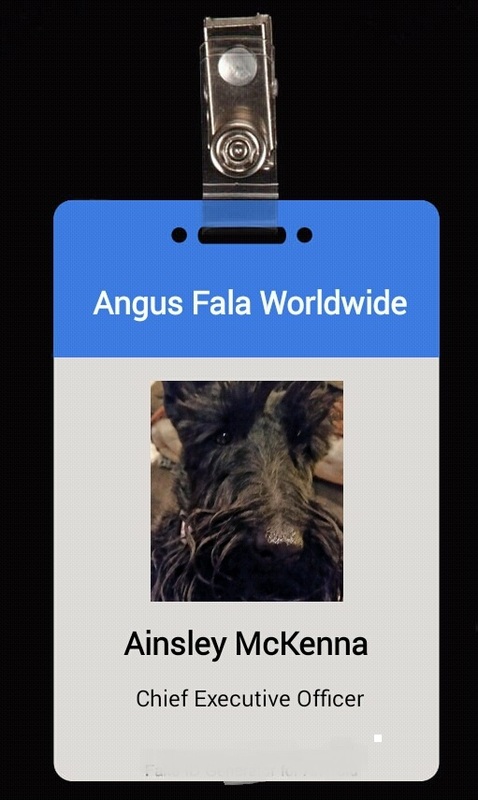 Angus had you and it’s more than one can handle. ……..and you are very worthy of your new office. Wear your CEO badge with pride. To take a nice picture. CEO – you go girl. Finally your CEO Badge came in…it’s officially official…..now you can go anywhere you wish!